Our company, D&S Security, is the premier resource for security camera systems and video surveillance cameras in Los Angeles proper and surrounding communities like Burbank, Anaheim, Torrance, and Long Beach. We have been exceeding the expectations of discerning homeowners and businesspeople in this area for three decades, so we bring an unrivaled level of experience to the table. Though we have been around for a long time, we have always stayed on the cutting edge as video surveillance technology has advanced. If you are a homeowner, a video surveillance system can provide you with peace of mind on many different levels. You can see everything that is going on in your home at all times, wherever you may be, through the utilization of a mobile application. This is comforting from a security standpoint, but it also allows you to monitor the actions of babysitters and the well-being of your pets. Well-placed security cameras can allow you to keep an eye on things that are happening outside of your home as well. This is especially useful for individuals that have large lots with long driveways. Though the residential surveillance cameras that we offer are highly effective, state-of-the-art products, you will probably be pleasantly surprised when you find out how affordable they are. In addition to the work that we do for individual homeowners, we provide security cameras for businesses of all shapes and sizes. Clearly, every retail facility is going to be exposed to potential theft, so surveillance cameras are an absolute must for these businesses. At the same time, monitoring the actions of employees and other people that enter a facility is important for every commercial enterprise. We provide custom crafted solutions for our clients, so we can work with you to devise the ideal strategy to protect your business. 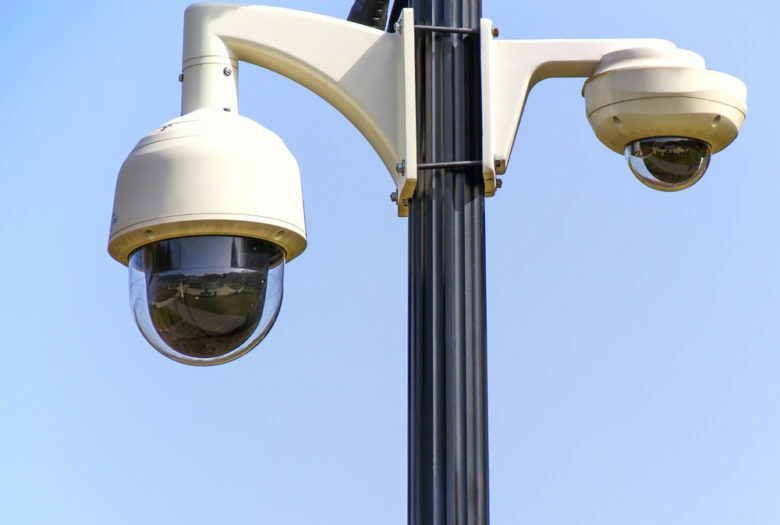 We have been able to set the standard for security camera systems in Los Angeles County and Orange County for 30 years because of our sincere commitment to a top-notch customer experience. When you reach out to us to satisfy your business or residential security needs, you will receive polite, friendly, attentive service from a very knowledgeable professional. If you are ready to make the D&S Security connection, you can send us a message or give us a call at 800-521-1958. Get a Commercial or Residential Security Camera System in Los Angeles and Surrounding Areas. Contact Us today.